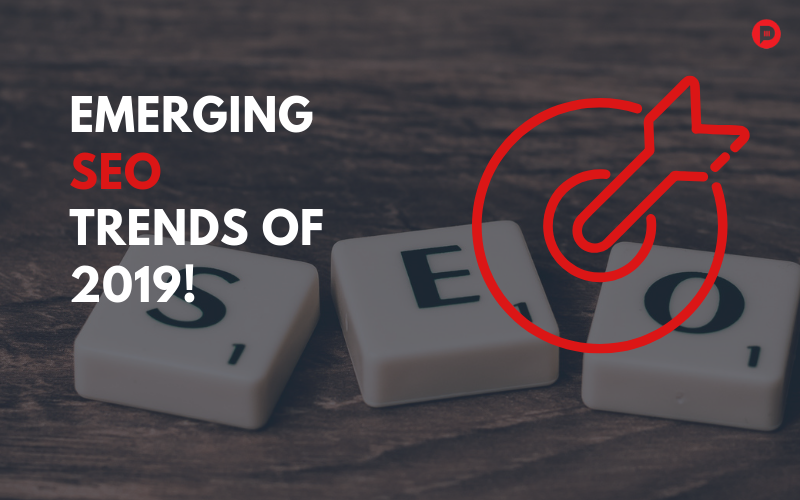 You are at:Home»Digital»6 Important SEO Trends of 2019 You Need to Know! With the rise of social media, Search Engine Optimization remains an intrinsic part of any of your Digital Marketing plans. Digital nerds who wish to keep their rankings and traffic high are always in the search of new ways to beat their competitors, thus setting new SEO trends. And that’s why you need to stay on top of the ball, if not then you’ll fall behind in this digital race. So want more organic traffic on your marketing websites? Then you’re in the right place. So here’s all that you need to know which will help you achieve your goals in 2019. The result what your prospect expects to see when they type in a keyword. SEO isn’t just about stuffing keywords into your web pages. It is about integrating keywords together so that your website delivers its promise to the searchers. When someone searches for a particular phrase in a search engine, the search engine wants to give the searcher the most helpful and accurate result. 2019 is the year of voice search. It is estimated that 50 percent of all searches will be done by voice by 2020. Voice searchers have different habits than the text searchers, and the device they are using take data from SERP (Search Engine Results Page) to re-play information from the featured snippet box back as their answers whether that’s Amazon’s Alexa, Apple’s Siri or- Google Home. So focus on questions and answer them comprehensively, this evolution is more than a threat, it is a promise! With mobile devices, online search business will strive for higher rankings on mobile first index. You need to master mobile SEO! You must have a mobile-friendly version of your site, or else Google will index something you can’t show to mobile users. And a large chunk of traffic will go right past you as people are increasingly switching to their phone for online searches. According to the research consumers now spend 5 hours a day on their smartphones and 88% growth year over year in time is spent on watching videos on smartphones and up to 70% of web traffic happens on a mobile device. Content is the king, Google ranking path will be high only with high-quality content. Core business model in the SEO industry is high-quality content development. To add more depth and value to your content by prepping in LSI (Latent Semantic Indexing) keywords smartly throughout your content. Page speed matters, the faster your website loads the better the user experience and the higher you rank on search engines. If you choose to make a profit with your website then do your best to guarantee a silky smooth UX; that means easy to understand, intuitive design, a low page loading time and absolutely no technical issues. These things can make or break the deal of any magnitude, now the choice is yours! SEO is always changing and evolving in line with user behaviors. With the rise of the more competitive website coming online daily, it is likely that businesses are backed by highly vetted digital marketing companies which will reap more rewards. In the end, 2019 will offer one thing in common with years past and that is that those who work hard will be the ones who rise to the top.